Rhythm Trainer – Ear Training App Data & Review - Music - Apps Rankings! Rhythm Trainer – Ear Traini.. Rhythm Trainer is a series of fun field-tested exercises for mastering your essential rhythmic skills whichever instrument you play. Practice 15 minutes a day with an individual workout. The app will pick up the tempo and rhythms for you. You will feel how much the app is efficient and exciting compared with conventional exercises with a metronome. • Sight read a rhythm notation. 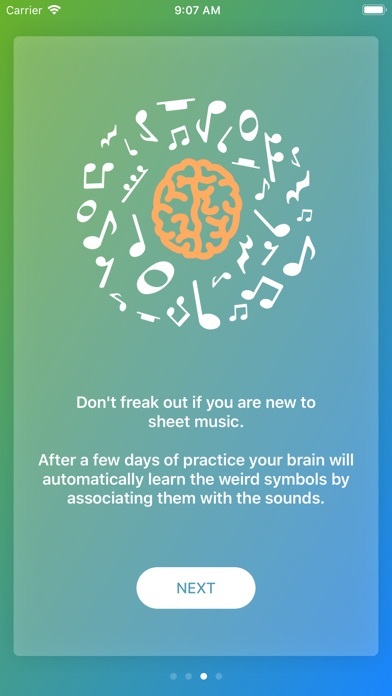 • Accurately play a rhythm from notes. • Understand the rhythm and hear mistakes by ear. Rhythm is the heart of the music. Learn it once, play rhythmically forever. 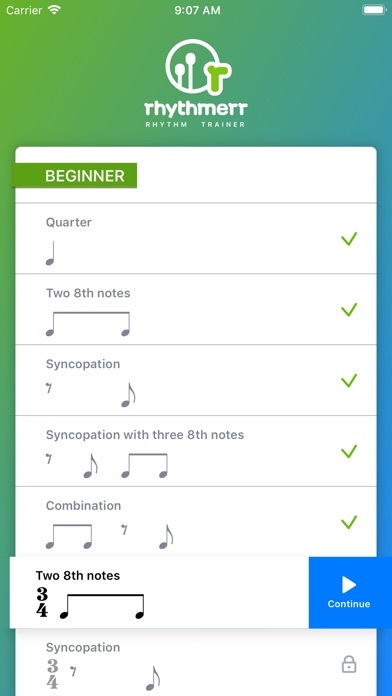 The applications Rhythm Trainer – Ear Training was published in the category Music on 2018-01-24 and was developed by Guitar Tabs LLC. The file size is 29.04 MB. 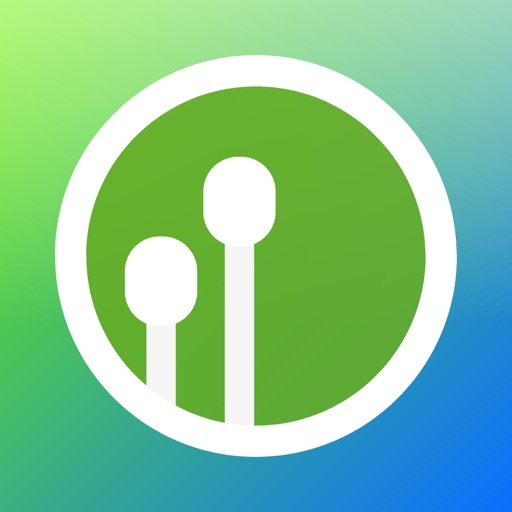 The current version is 1.3.4 and works well on 9.0 and high ios versions. Do you like Rhythm Trainer – Ear Training applications? Please share! This is a very useful app for people who are staring out new to music rhythms, but I already play two instruments, double bass and bassoon. So I am already pretty good at rhythms. Then I had a rhythm in one of my music pieces that I was practicing and I just couldn’t quite figure it out. When I went to the AppStore I found this app. It had about a 4.5 star rating, so I thought it would be okay. Then I go into the app and it starts me off with easy quarter notes and eighth note stuff. I wanted to get to the section where it had sixteenth and eighth notes in one beat. If I really wanted to get there, I would have to play every level before that. I did not have time for it, plus I already knew most everything. I would only recommend this app to beginners at rhythms. 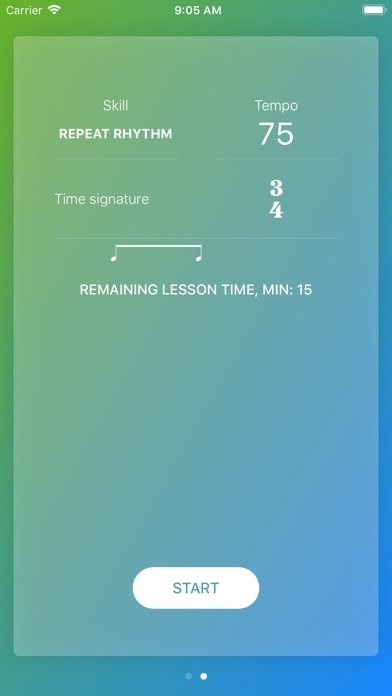 Again, this seems like a very useful app, but for someone that has been playing an instrument for a couple years or more, it’s not very useful. 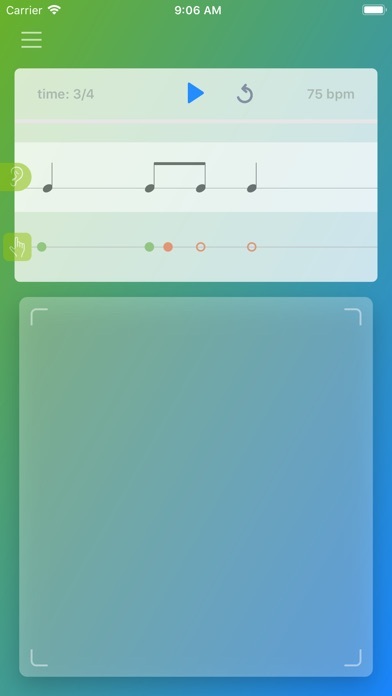 Two major problems noticed within a few minutes of using this app: - no sound plays when previewing or tapping the rhythm. Sort of defeats the whole purpose - no lead in count, so a phrase that starts with a rest has no context to understand when the 1 beat begins. Clearly whoever made this has never played an instrument. 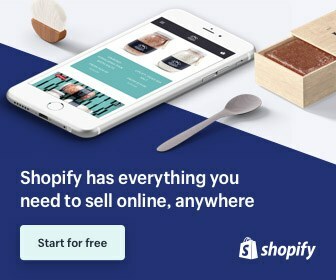 This app is not worth $13.99. It says it's free, but it gives you only a couple of super basic exercises before it says you have to pay more. If it had more adjustable settings and exercises, it might be worth that much. I thought there would be more when I payed $14 for it, but I have been highly disappointed. I regret this purchase. This app has great potential. It’s irritating that I cant adjust the tempo manually or when I’m trying to get a rhythm down it tells me to take a break then resets my progress. There needs to be a count in as well. Jumping in to the tapping right away takes away from giving me time to sight read the rhythm first. 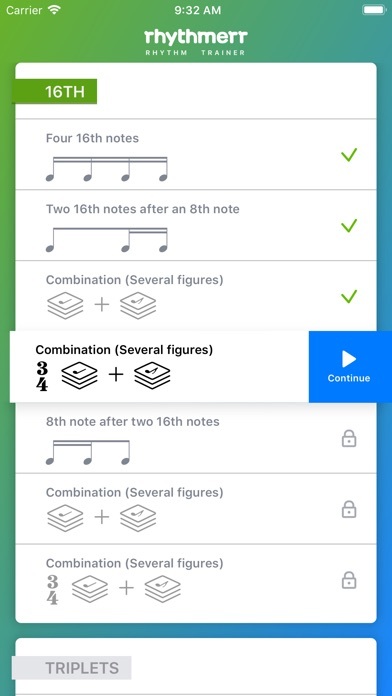 I understand the idea behind why there is no count in, but I think it should be optional for those of us who have yet to master certain subdivisions or are trying to reach a certain tempo. I want to love this app. It has a lot going for it. However there are some glaring issues that make it not enjoyable to use. 1) Errors and Bpm slowing - while it makes sense to slow down the tempo if you are not grasping the rhythm, the app counts one mistake and equates it with an attempt that had several mistakes. For instance a 16th note might have gotten missed after a whole note rest and apparently that’s as egregious an error as having missed a whole passage. 2) There’s a small demo before you get to make your attempt, yet there is no count-in. So you simply have to jump right in or wait another two rounds if you want to process the pattern. 3) Some of the rhythms musically make no sense whatsoever. What’s the point of being competent at rhythm if not to get better at complex musical rhythms. I’m not trying to impress someone with my ability to meter out perfect negative spaces between broken notes. After using taps in practices, I wish I could hit the string or play a key with the practices using an actual musical instrument. 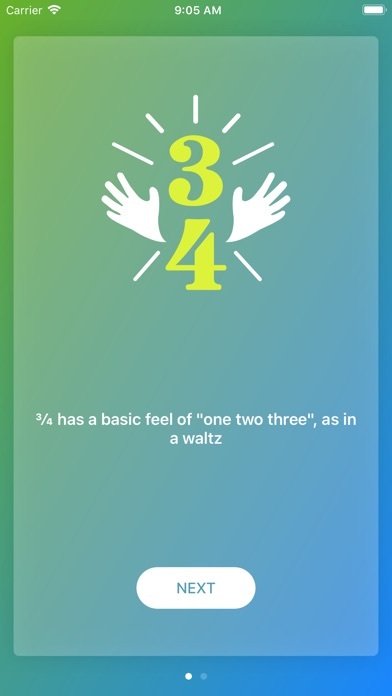 This app instantly allows you to read rhythm.